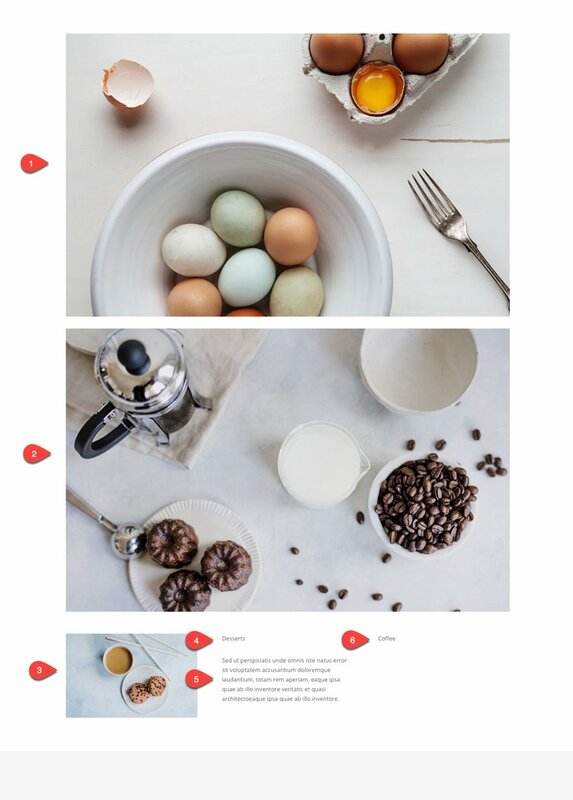 There is something beautiful about the organization of a good image layout or grid. But sometimes, beauty is found outside the boundaries of perfect symmetry. We’ve all seen examples of this kind of asymmetrical balance used in marketing. You can find them on restaurant menus, brochures, and countless websites with portfolios and galleries. 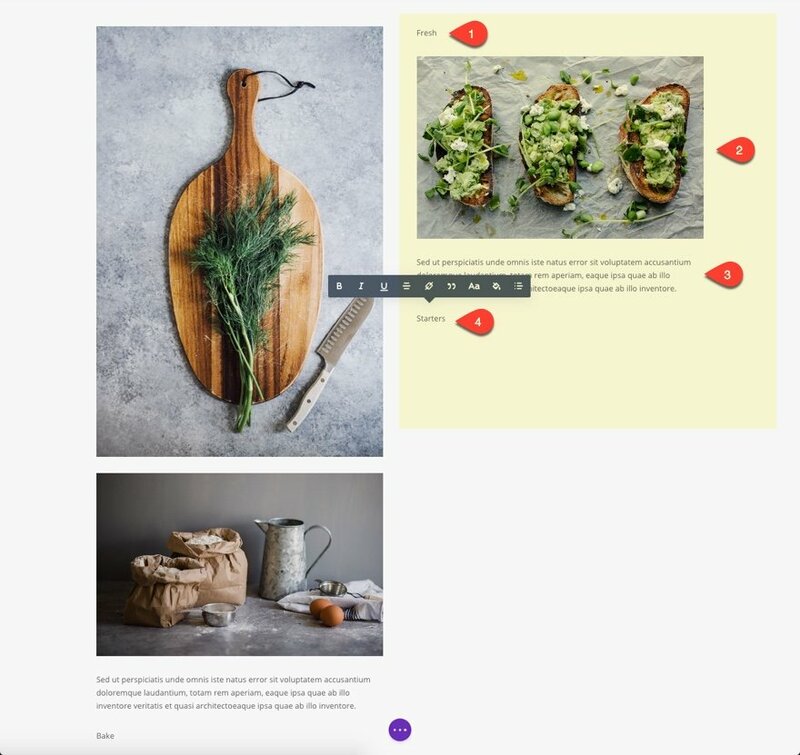 Today I’m going to show you how to build your own creative image layout using Divi. The concepts aren’t earth shattering (or unique for that matter), but my hope is that this will inspire you to think outside the box and create something that looks amazing. So for those of you who are wanting to shy away from perfect symmetry and mix things up, this is the tutorial for you. Copy of the Free Restaurant Layout Pack. Import the Restaurant_Gallery.json file to the Divi Library. This will give you a head start on creating the new layout. If you choose to use your own images, I would make sure that their size is at least 800×500. This unique layout calls for a unique design process. Think of it like a making a scrapbook. We are going to lay out all our pieces before we start moving them around to find the right spot for each one. 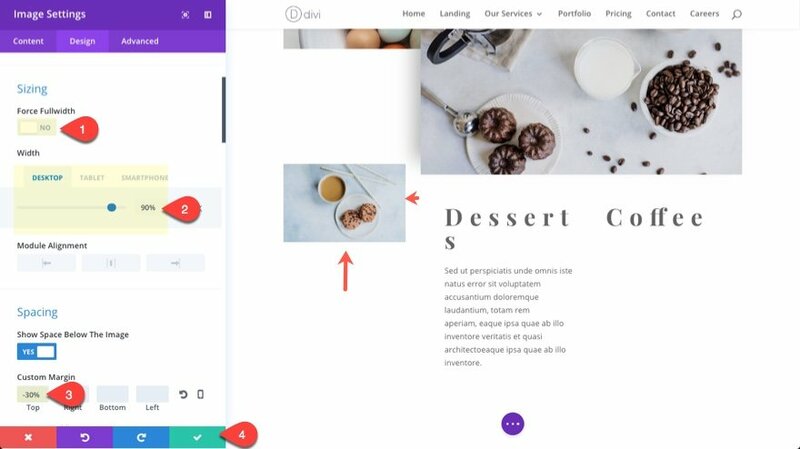 This process will also help you take more ownership of the design process and tweak things the way you want whenever you add your own content. So, I think it best to add all of our rows and content (images, text) first. This will provide a basic framework so that we can visualize the whole before we start designing the parts. For starters, let’s create a new page and upload the restaurant gallery layout to the page. The layout has a header and a footer section (which we will leave alone now. We will be using the images inside each of the four (four-column) rows to add to our new layout. You can choose to create your image modules from scratch if you prefer. I’m simply doing this to speed up the process. You can think of the existing content (all the images in the gallery) as resources you can use to fill in your new layout. Create a new regular section with a new row with a two-column (one-half one-half) columns structure. Then drag it right under the header section of your layout. 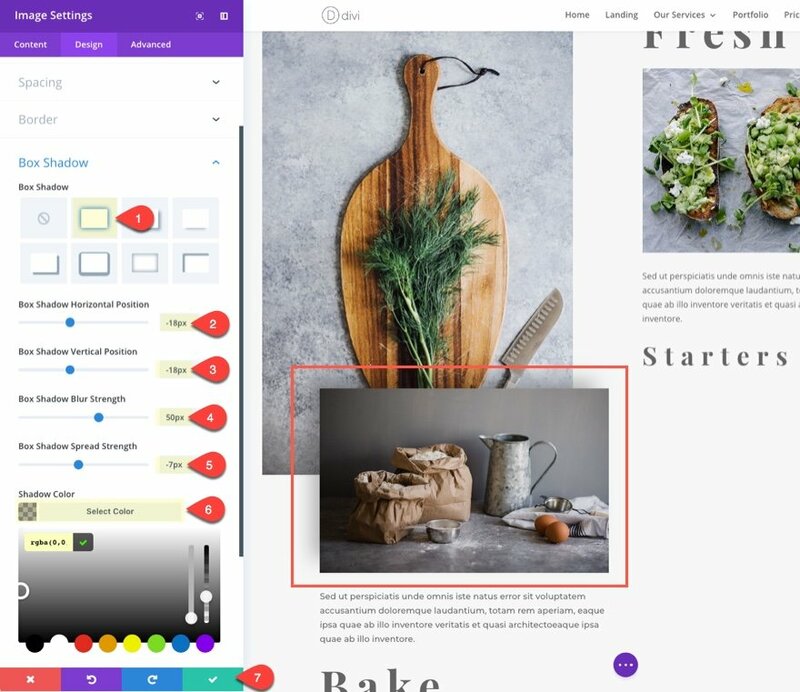 In the first column of your new row we are actually going to create an image module and grab a vertical image from our media gallery (This is the only image not found in the existing content below). Next drag an image directliy under the previous image in the first column. That takes care of the first column in the first row. Then drag an image module directly under that text module from the existing content at the bottom. 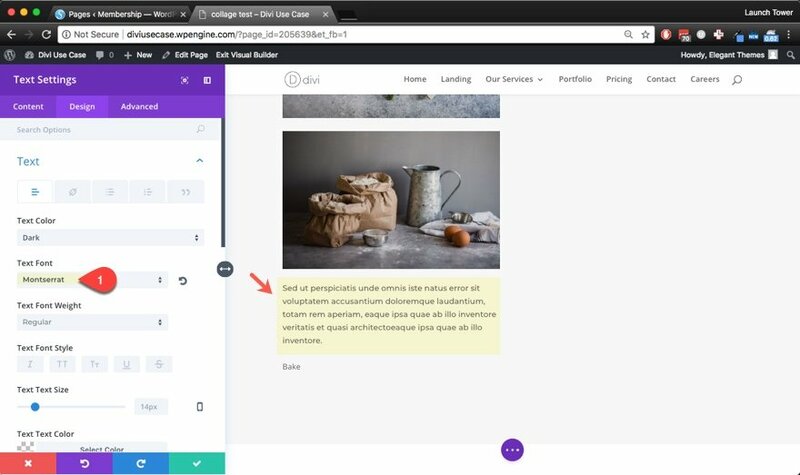 Copy the two text modules from the first column and paste them on second column under the image (making sure the paragraph dummy content stays above the single text content. Then change the word “Bake” to “Starters”. Next add a new regular section below the one you just created. Give it a row with a one-column structure. Drag two images (image modules) from the existing content below into the new one-column row. They will span the fullwidth of the row. That’s okay, we will be adjusting the size and position later on. 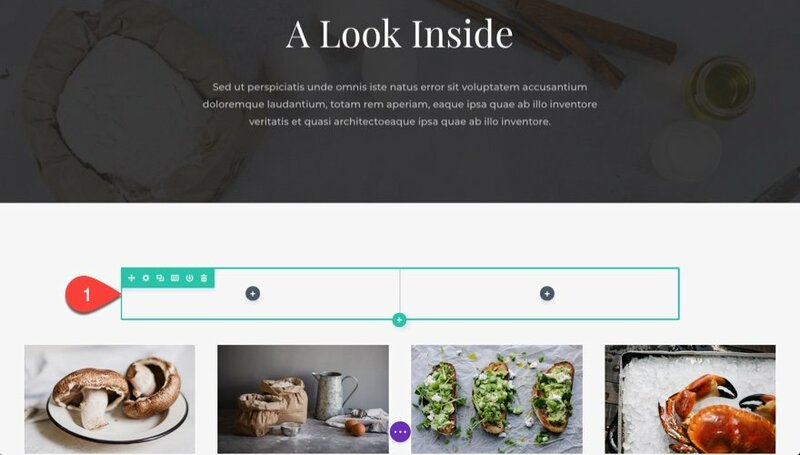 Add a new row directly under the previous and give it a three-column (one-third one-third one-third) structure. 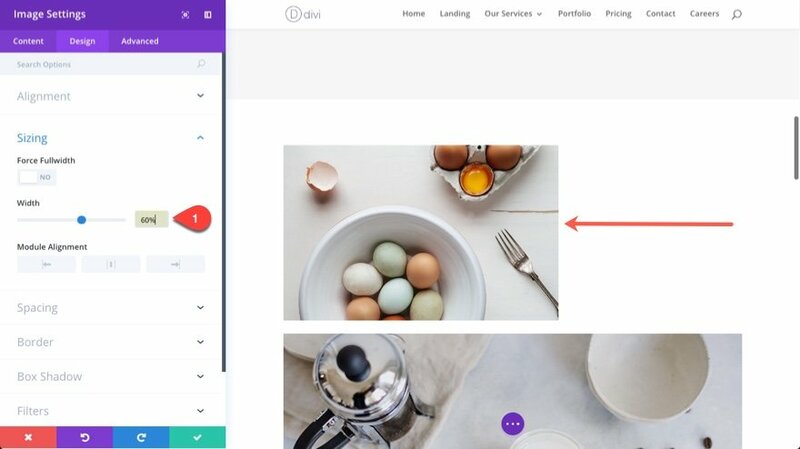 Drag an image from the existing content below into the first (far left) column. Then copy any of the text modules with the paragraph dummy text in the first section and paste it under the “Desserts” text module. In the third (far right) row, add a text module with the content text: “Coffee”. That’s it for the content of the second section. For the third and final section, add a regular section with a two-column (one-half one-half) row structure. Then add the paragraph dummy text module under it. Under the dummy text, drag in an image from the existing content below. Well, that takes care of the framework and content of our layout. But before we start designing this layout, let’s erase the section containing our previous layout “helper” content. 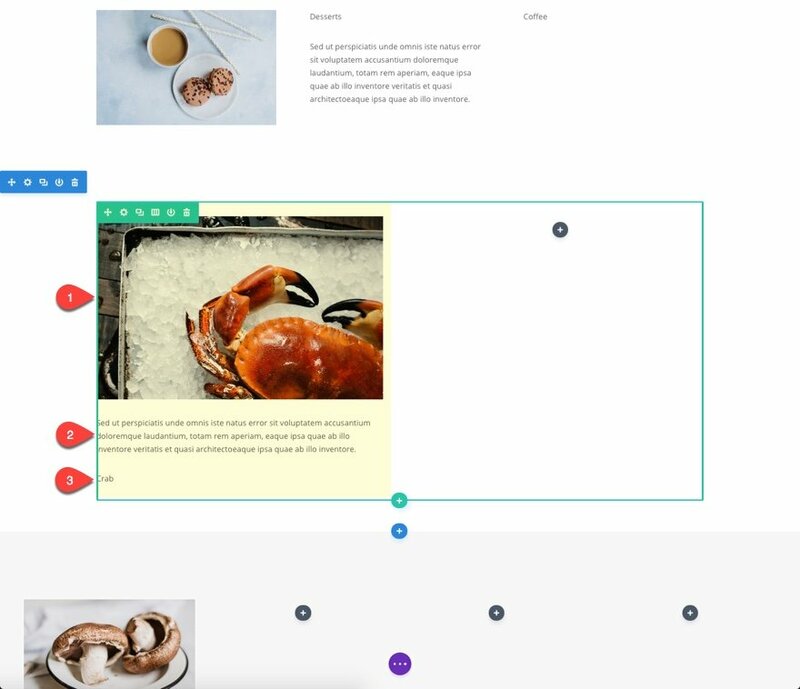 Now that we have our framework (rows and columns) and our content (image and text modules) ready, we can now start the design process. To move things around we will be adjust the widths and margins of certain images so that they can do things like overlap. The secret to overlapping images is to use negative values to your margin settions to “pull” the images in the direction you want them to go. And, in addition to setting our text fonts, sizes and margins, I’ll be adding a few lines of inline custom CSS to rotate a few words to display vertically. Because the entire layout shares similar font design, I find it easier to update one text module settings first and then copy and paste the style to other text modules that share the settings. This avoids the repetition of adding the same general settings for each module one by one. There are two fonts and three sizes used for the text in this layout. Playfair Display is used for the larger single words and Montserrat is used for the paragraph text. That’s really all that needs to be done. Using the nifty right click menu (or the shortkeys ctr+alt+C and ctr+alt+V), copy the style/design settings of the module and paste the design settings on each of the dummy paragraph text modules throughout the layout. Find the text module with the single text “Bake”. Update the settings as follows. Now using the right click menu (or the shortkeys ctr+alt+C and ctr+alt+V), copy the style/design settings of the text module and paste the design settings on each of the text modules containing single words (Fresh, Starters, Desserts, Coffee, Seafood, and Crab). We don’t want all of our single words to have the same large size, but it was quicker to paste in the design settings for all of them first before we make adustments to the few text modules that require a different size. Now copy the design settings of the text module and paste the design settings on the text module with the word “Desserts” and the one with the word “Coffee”. To adjust the margins for the images and text throughout the layout, I’m going to start at the top with the first (top) section and then continue to the second and third section. This does two things. First, it pulls the image below it upward so that it overlaps, and secondly, it pulls the image to the left. Note: It is important to note that on the negative margin value can accomplish this kind of placement of the images. You might think that adding a margin of 30% top and 20% right would accomplish a similiar effect, but all this does is push the image down and shrink the image so that it has 20% margin on the right. This is to create room for whenever we float the word “Bake” to display vertically to the right. 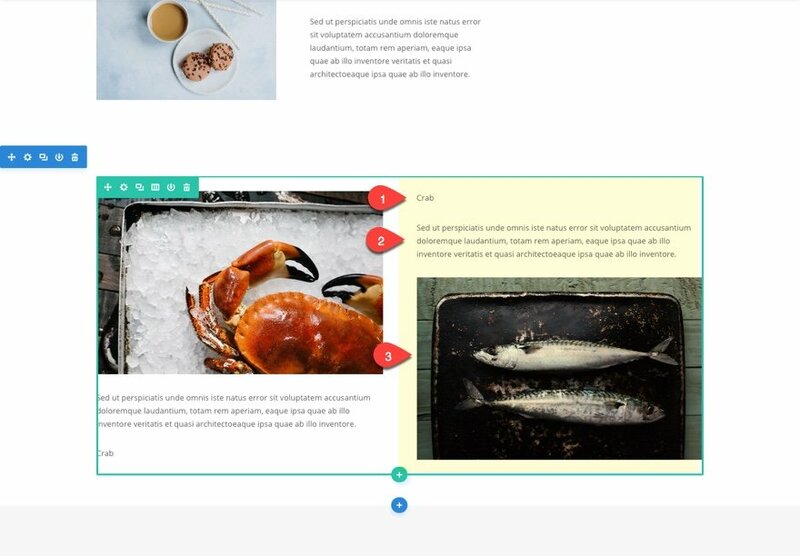 This will create room to float the word “Starters” to display vertically to the left of the paragraph. At this point all that is left to do is to rotate our text so that it displays vertically instead of horizontally. To do this, we will be using some custom CSS (the “transform:rotate” property) and some adjustments to margins to position the text for the vertical placement. g>Note: I could add inline css under the advanced tab of each text module individually, but I figure adding the CSS to the page settings and then targeting each module with a class would give you more control over these settings. For example, you could add media queries to disable the vertical text display on mobile devices. Notice the two classes I will be using are “rotate-right” and “rotate-left”. 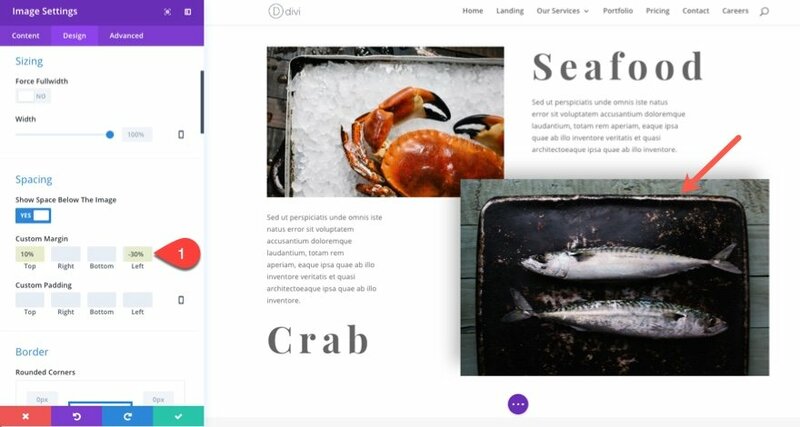 We will be using these CSS ID’s to target the text modules with the content text “Bake”, “Starters”, “Coffee”, and “Crab”. Save your settings and check out the results on the live site. Because of the additional margin specifications made throughout the design, the layout looks great on mobile as well. My ultimate goal for this tutorial is get those creative juices flowing. There is so much that can be done with margins to create the perfect layout. I purposefully didn’t modify the settings of the sections and rows in order to concentrate on moving around modules. 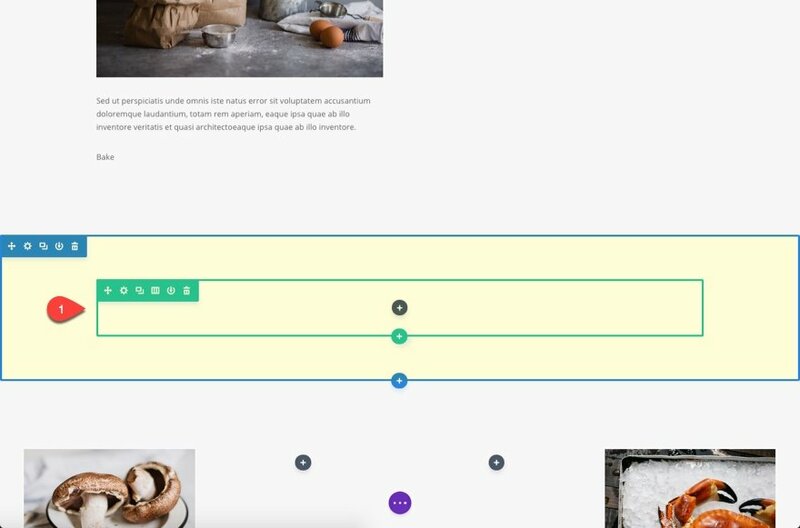 However, you could take the layout to another level of design (especially for large monitors) by incorporating some additional margins and spacing for your rows and sections. Until next time, I’ll meet you in the comments. Ok, now that is cool! Web based design is getting more and more interesting. Thanks! This is great. Thank you Jason. Too cool for school! I dig it. Great tutorial. But rotate-left and rotate-right should be applied as css classes, as I think was your intention by defining them with the period in the stylesheet. You are right! Very sorry about the typo. I meant CSS Class, NOT CSS ID. Thanks for catching that. Also, Should Bake, Starters etc. be defined as a header, H2 or H3 say? Stephen, I left that up to the user since some may just want the text for aesthetic purposes, not headers.. But yes, depending on how you would use text, you can apply those tags if you want. But at least,I learned a lot! I made a mistake. I wrote CSS ID when I meant to write CSS Class. So, make sure you have rotate-left and rotate-right entered as CSS Classes and NOT CSS IDs. Jason, that is one small glitch which I noticed, but still it is not working. Thanks, I tried and it works great. Can you control the order of the modules? I there like a bring to front option? Lorena, were you able to figure this out? I am having the same issue too. 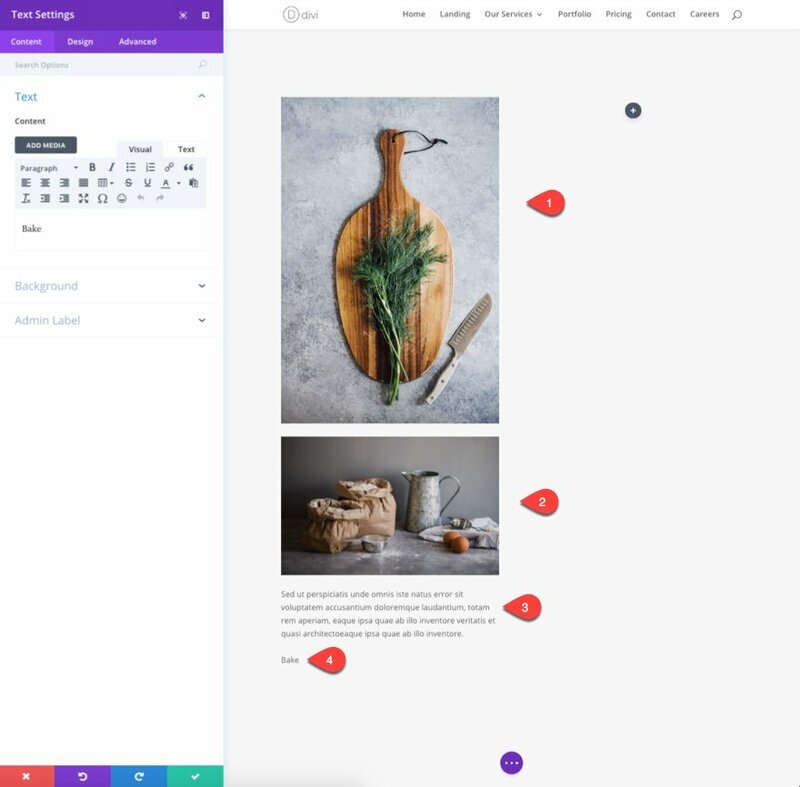 It looks fine in the visual builder but not on the actual page itself. I luv luv this on the desktop, but on smartphone there are a gazillions of space in between the header that looks really weird. If you look at your pic each section have tons of space in between the bake, seafood and the image. How can we fix it for smartphone and the css you have provided? Once again this looks amazing,it truly feels like a magazine layout.Thanks a lot. If you want to keep the vertical text on mobile, I would suggest adjusting the spacing for your columns and rows on mobile devices from within the visual builder. I can’t see where to find these values. I can only see an option to customise the width under Sizing. 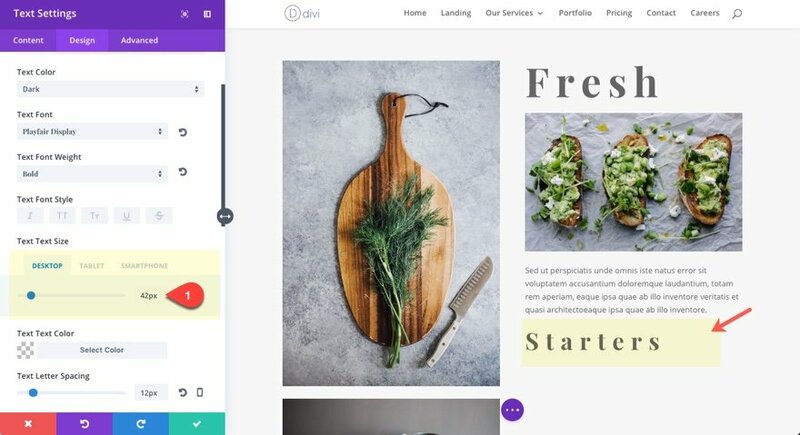 So so impressed with you guys and the Divi project. And yes, you are correct – Desktop, Tablet, Smartphone. I thought it was best to include the mobile sizing because of all the custom margins and sizes used throughout. They for real encourage how to create duplicate content ??? The best thing to get penalized on search engines. Not make a section visible on viewport and non existant are two different things..
Nevermind, seen the css method further down the page. But first method should be removed since it goes against SEO best practices. May I have this layout download link. I love this layout please give me the link. I want to download.